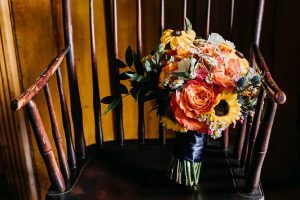 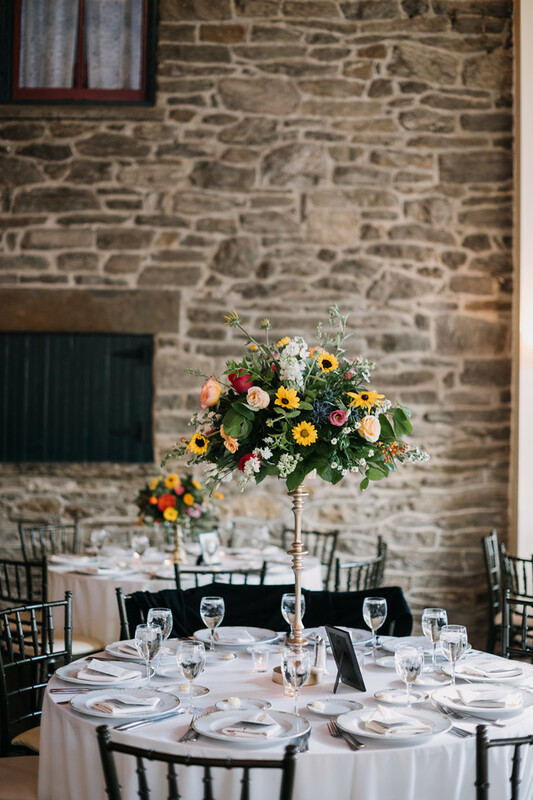 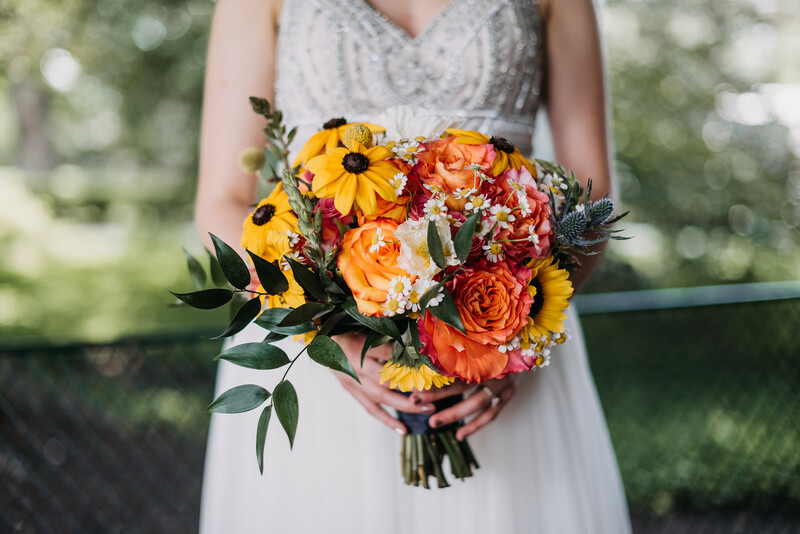 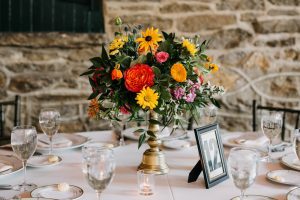 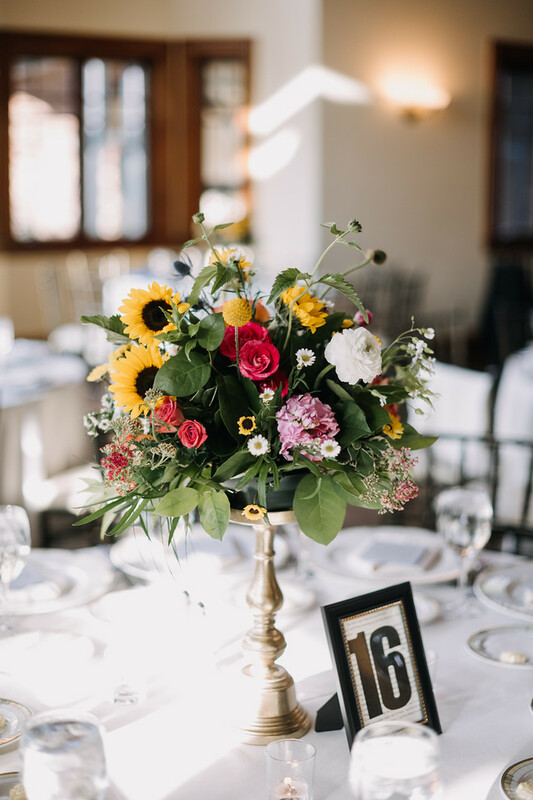 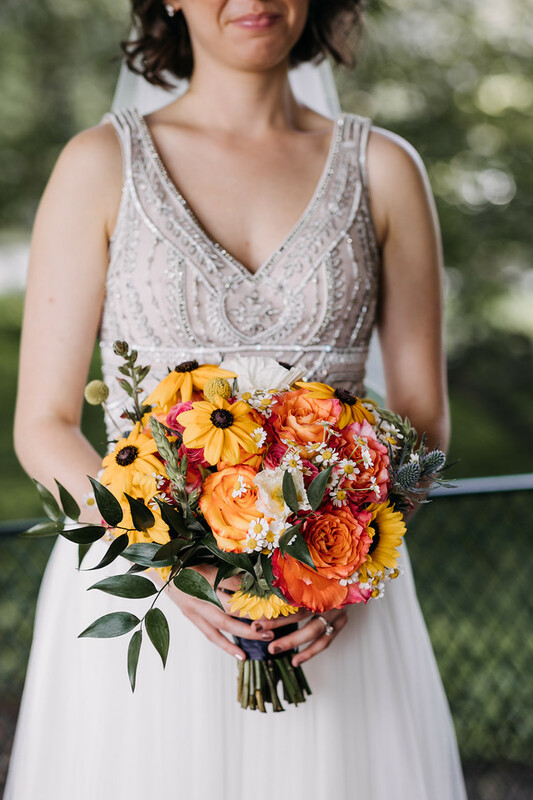 This picture perfect wedding at the Knowlton Mansion was a day full of fun and flowers from start to finish. 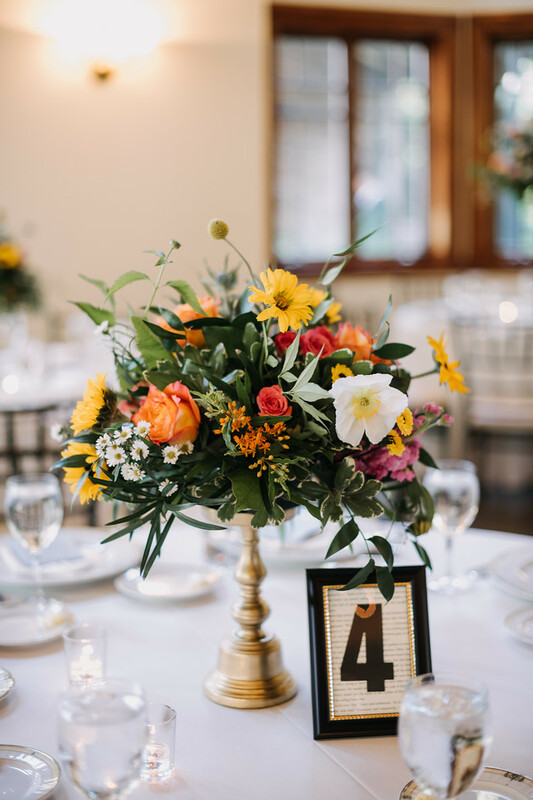 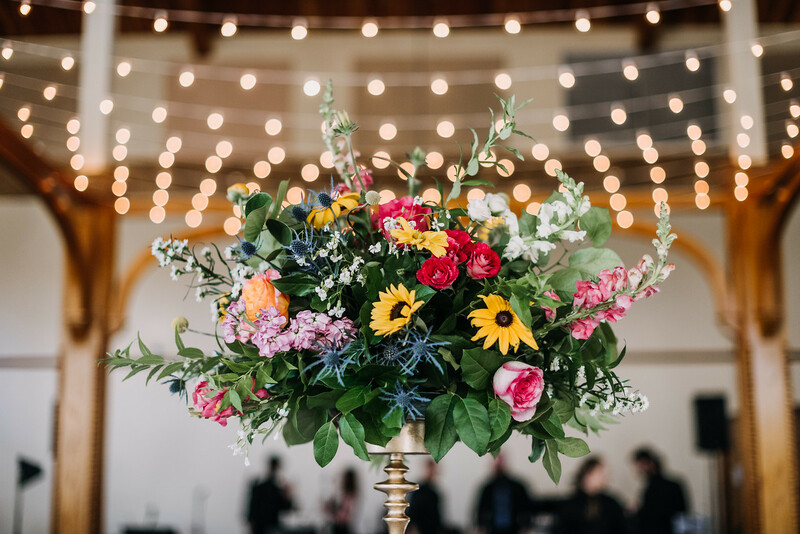 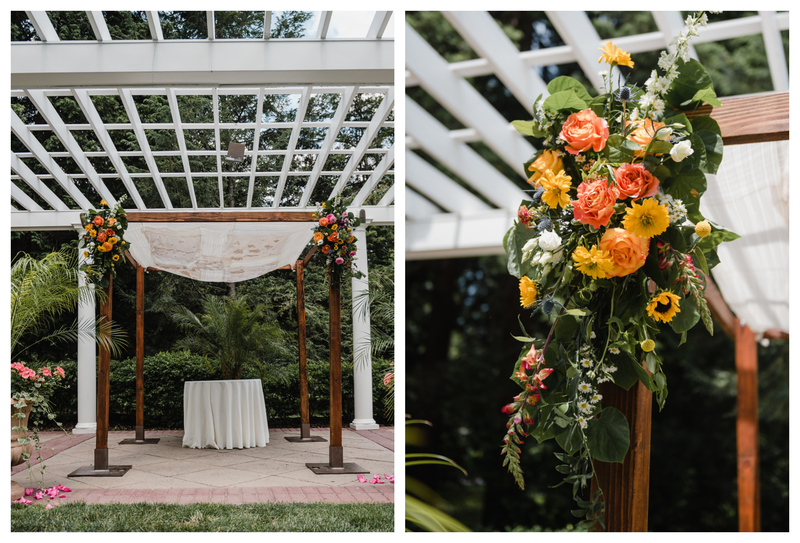 Cheerful colors were floral theme for this wedding as yellow, peach, pink, white and blue blooms were abound. 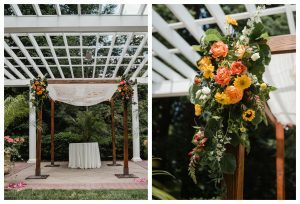 Draping greenery with free spirit roses, viking mums, sunflowers and hot pink stock adorned the corners of The beautiful walnut Chuppah. Abundant with color the table arrangements varied from tall to short and looked fresh picked from the garden with flowers varying in size and color. 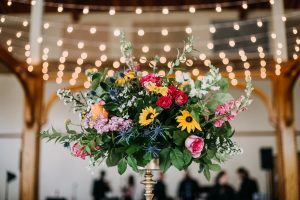 These centerpieces were fun and brought the beautiful reception space to life.